Motorists want SUVs, so car companies make SUVs, and so we’re sent SUVs to review. But Peugeot has launched a new 508, which is a family saloon (although it’s actually a hatchback, and the company calls it a ‘Fastback’). Should you cancel your order for that SUV? 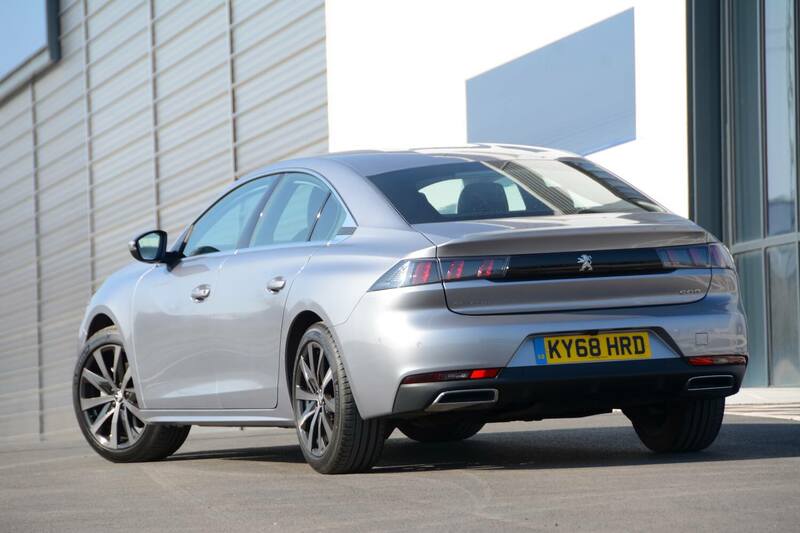 Whilst in our care the Peugeot 508’s styling seemed to receive almost universal approval. Perhaps it just looks striking because it’s not an SUV. The design of the ‘i-Cockpit’ interior also has character. Under the bonnet of our test car was a 4-cylinder, 1.5-litre diesel engine, mated to a 6-speed manual gearbox, with power going through the front wheels. One of the main defining characteristics about the Peugeot 508 – along with all modern Peugeots – is the small steering wheel, and the fact that you look over it, rather than through it, to see the instruments. 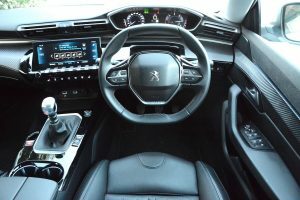 When Peugeot first introduced this on the 208, drivers of certain sizes struggled to see the dials over the top of the steering wheel, but the ergonomics have now been improved (although the steering wheel spokes are very thick, presumably to fit all the buttons, resulting in it being impossible to wrap your hands around the wheel where the spokes meet the rim). With the steering being one of the main ways for the driver to interact with a car, the small wheel actually does result in the car feeling more fun to drive. In fact, the 508 feels light and agile for a diesel saloon (sorry, Fastback). 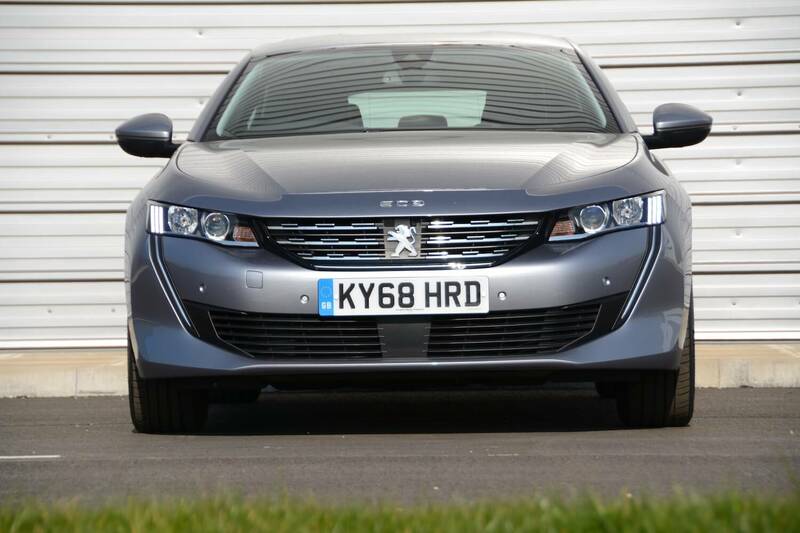 Other Peugeots that we’ve driven with petrol engines translate the fun-to-drive feel that starts with the steering wheel through to the overall driving experience. 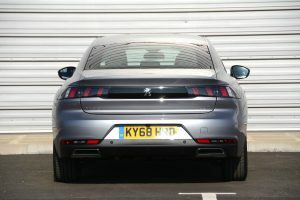 However this didn’t quite happen with the 508 on test because turbo lag spoilt the fun. Having the ability to be in control of a manual 6-speed gearbox rather than being at the mercy of an automatic transmission probably helped to try and achieve a bit more immediacy, but didn’t solve the problem. And when the turbo eventually kicked in, the 1.5-litre diesel engine still didn’t offer much performance. If you want to accelerate at motorway speeds, you need to be doing a lot of changing down through the gears. And the engine is noisy, at low speeds and under acceleration, and at motorway speeds there’s a good deal of road and wind noise. The 508 is also front-wheel drive, so you don’t even get the rewarding rear-wheel drive handling of, for example, a BMW 3 Series. However you do get three drive modes to choose from – Normal, Sport and Eco – not that there seems to be a great difference between them. And then there’s the touchscreen. Most of the car’s controls are located here. Our first drive of the car was in very poor light conditions when it was going dark. At first sight it seemed that there were no shortcut controls for the touchscreen, so it was very challenging to try and work out how to operate it. The next morning, in better light, it became possible to see that there are actually symbols on the ‘Piano Key’ toggle switches under the touchscreen, for satnav etc. However there’s no home button. And on cold mornings, with the 508 having its climate controls only on the touchscreen, it’s a much more laborious process having to go into the touchscreen and repeatedly press an arrow to increase the temperature compared to having a separate rotary dial on the dashboard to allow you to instantly twist the temperature from cold to hot. The same challenge applies to changing the fan speed and adjusting where the heating or ventilation is directed to. The 508 also emitted very loud beeping noises on a regular basis when it sensed speed cameras were nearby, and despite lots of desperate searching, we couldn’t find a way to switch this off or reduce the volume. Like most new cars, if you drive near a white line, the 508 tugs at the steering wheel in a very annoying way, but thankfully that’s a feature that you can switch off with a real button without having to go searching through menus and sub-menus on the touchscreen. 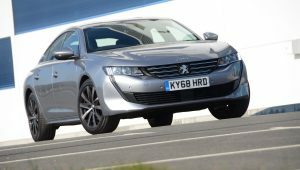 The official WLTP combined fuel economy for the Peugeot 508 BlueHDi 130 is 58.9mpg, with CO2 emissions of 103 g/km.In real-world driving we achieved 54.0mpg at 70mph motorway speeds, and an average of 43.2mpg after a week of mixed driving. 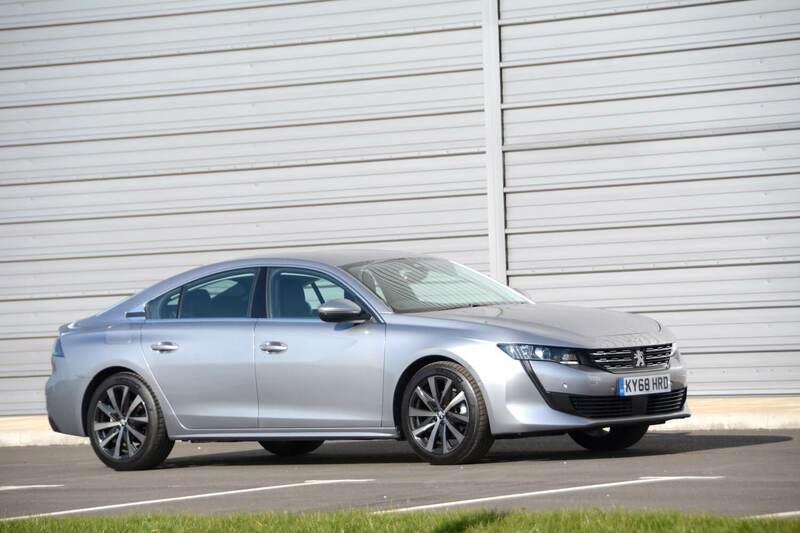 The Peugeot 508 Allure BlueHDi 130 manual S&S costs £26,339. 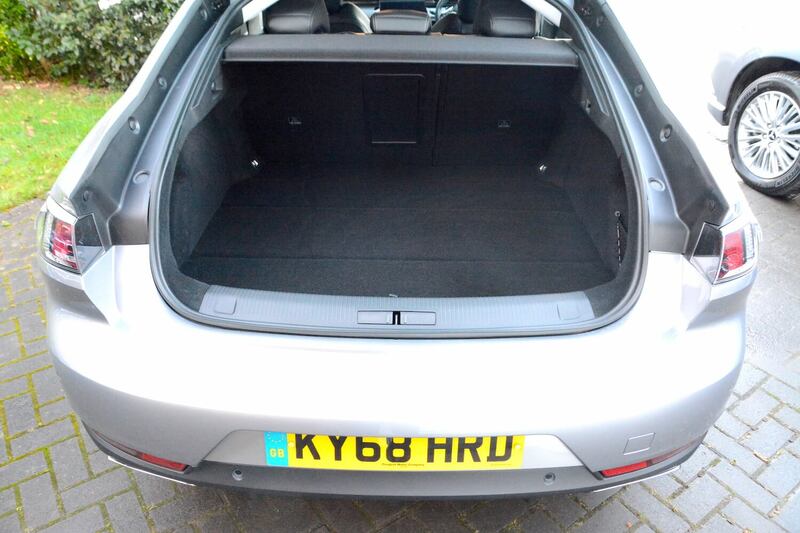 Our test car had options of metallic paint (£575), leather trim (£1,250), and 18-inch alloy wheels (£300), taking the total price to £28,464. The 508 comes with 1.5 (130hp) or 2-litre diesel (160 or 180hp), or a 1.6-litre petrol engine (180 or 225hp) (with a petrol plug-in hybrid to come), manual or automatic transmission, and trim levels of Active, Allure, GT Line, GT and First Edition. 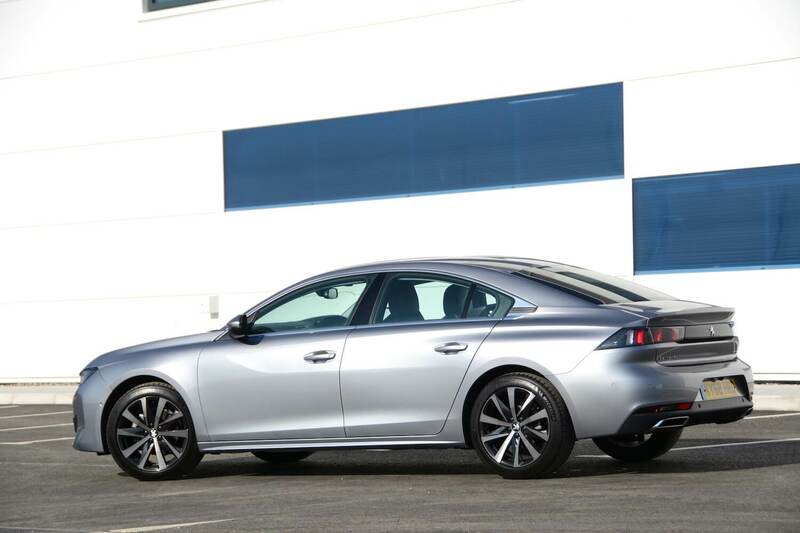 The 508 features various safety systems including Night Vision (standard for First Edition trim level, optional for other trim levels). An infrared camera in the front grille of the vehicle detects the presence of pedestrians and animals up to 200 metres beyond the range of the headlights at night. The Peugeot 508 is a refreshing attempt to offer something different in the family saloon/hatchback sector. The styling has character, the small steering wheel helps to inject a sense of fun, with the 508 feeling lighter and more agile than most rivals. Decent economy is also on offer if driven carefully. However the turbo lag spoils the driving experience, and all the controls being located on the touchscreen spoils the user experience. 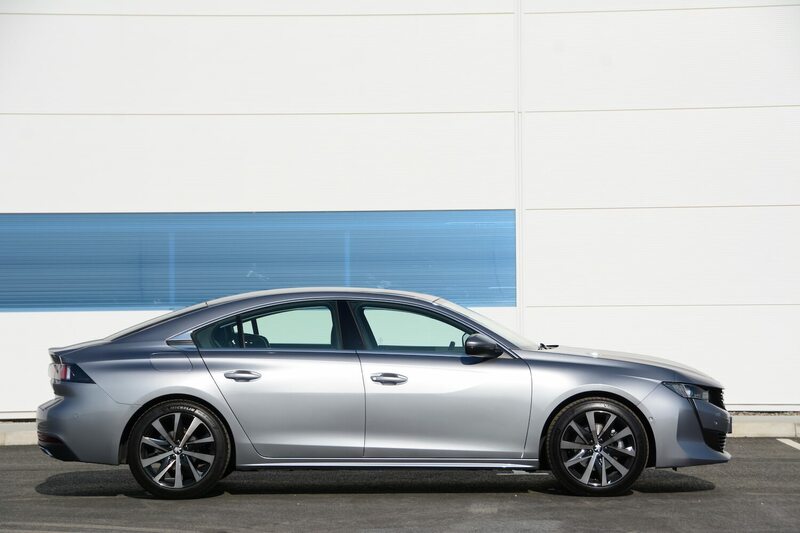 For driving up and down the nation’s motorways, the 508 with this 1.5-litre diesel engine will offer a more efficient solution than a petrol engine. 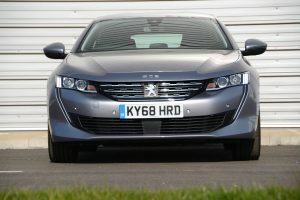 However based on our experience with other Peugeot (and Citroen) models, if you don’t spend most of your time on the motorway, then a petrol engine option is likely to deliver a more responsive and enjoyable driving experience. The Peugeot 508 Allure BlueHDi 130 manual S&S gains a Green Car Guide rating of 7 out of 10.